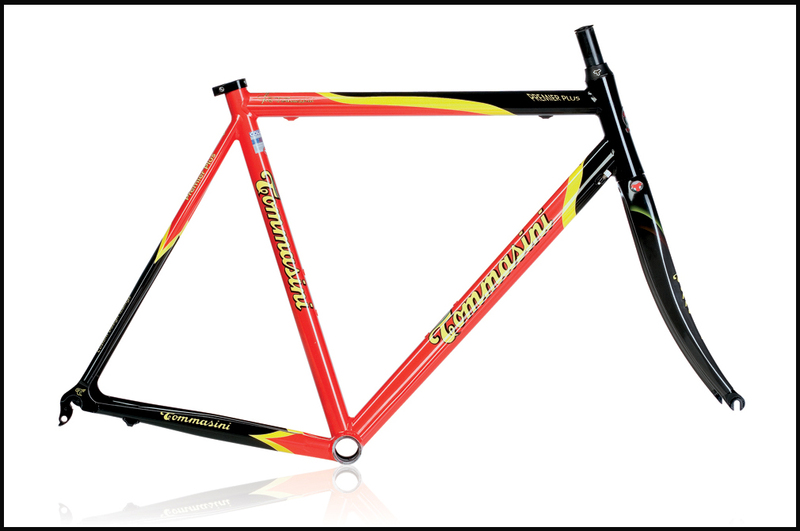 The lightest Custom Tommasini frame available, weights just a little more than 1kg. 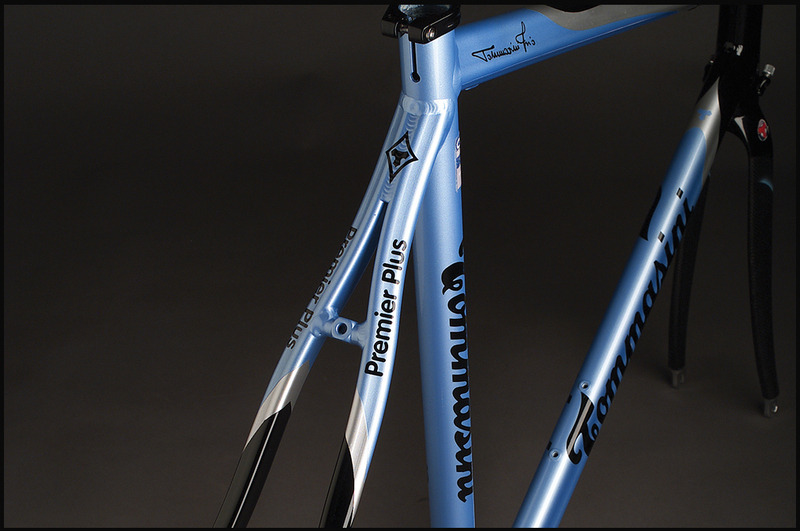 and is built with COLUMBUS CUSTOM BELL MULTISHAPED AIRPLANE tubing, designed by Irio Tommasini and exclusively produced for him by Columbus. The tubing "Bell Shape" has been studied to resist all vertical and horizontal tensions and does not overstress the tubes themselves. 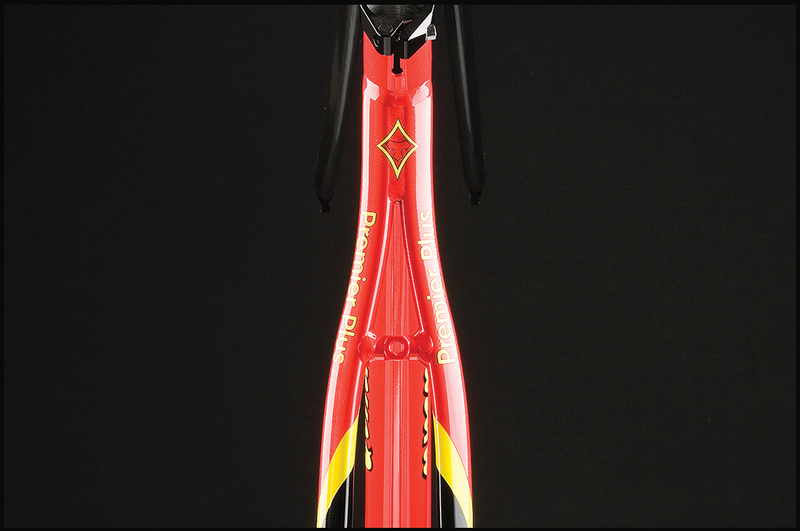 The head tube, with the integrated a-head head set, is named "clepsydra" for its smooth and rounded design. 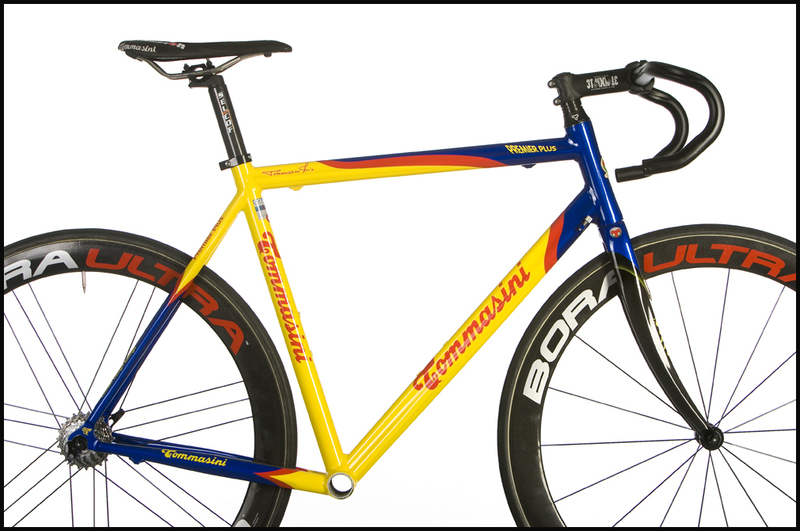 The "bell shape" rear seat stays and chain stays have been studied to greatly improve rear triangle stiffness and confer an aggressive looking to the frame, making it perfect for the extreme racing performances. 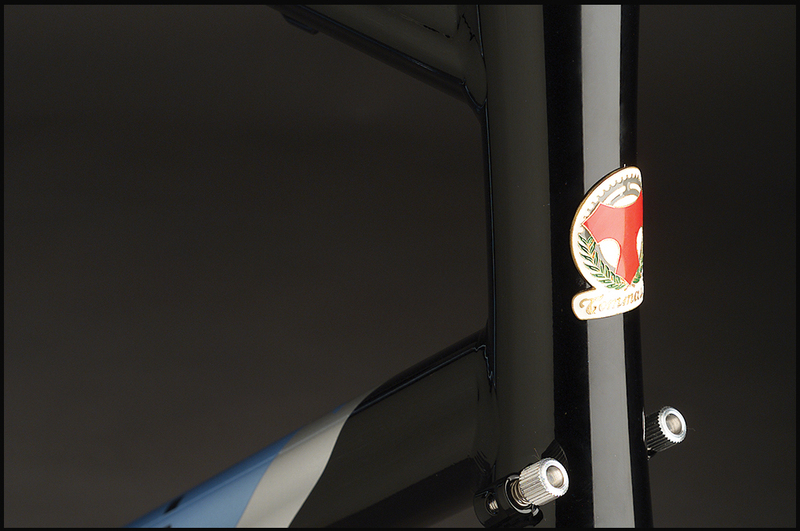 The Tig welding is done with visable beads to renforce the frame. 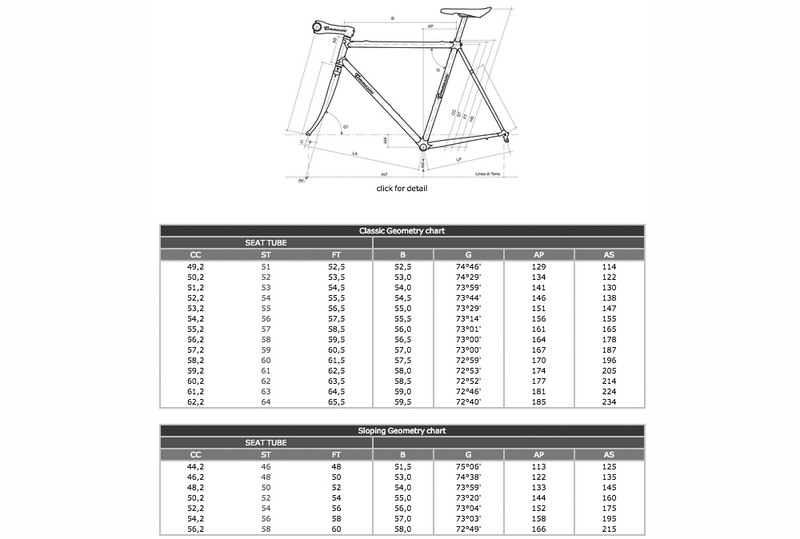 The production progress, with the after welding pause and the heat treatment, is obligatory for lightweight tubing and striclty respected in order to restabilish the tubing natural characteristics with the result of a much stronger frame.